Why choose VoIP? Due to VoIP's digital formatting, callers experience crisp HD sound quality by calling over the Internet. The digital format allows for more features, such as voicemail-to-email, telemarketer blocking, and music on hold. Of course, the best aspect of Voice Over IP is that phone plans are often 50 to 80% cheaper than traditional phone service. The best aspect of Voice Over IP is that phone plans are often 50 to 80% cheaper than traditional phone service. VoIP works by sending phone calls over a wireless connection between IP addresses. Oftentimes, this means that you simply need a high-speed internet connection in order to get your VoIP phone system running. The better your Internet connection, the better your sound quality will be. All you need is a router (and modem), an IP phone or analog phone with an adapter, and if it is a business plan, a PBX solution. devices connect to your modem (either hardwired or via Wi-Fi) to connect to the VoIP network. ATA (Analog Telephone Adapter) lets you connect your phone to the VoIP network by converting your calls into digital data. They are both viable options, and some might even be included when you sign up for a provider. By switching to VoIP, you will not only save money, but you will also have the advantage of extra tools and features that will foster productivity in your business. Features like caller ID, call waiting, 3-way calling, account dashboards, voicemail-to-email, and more are all right Furthermore, using a VoIP phone service gives you the flexibility to adjust your phone system. Add extensions, work remotely, and enjoy relatively low rates for local and international calls. Certain providers even offer pay-as-you-go plans, allowing you to pay only for what you use. There are a few types of IP services available to you. Some providers offer supplementary services like IP faxing and video conferencing, which may be very beneficial for certain types of businesses. There are even IP faxing plans that can work harmoniously with old fashioned fax machines. Certain providers even give you the option to send and receive faxes like emails. This type of IP functionality is perfect for businesses or individuals who want to move towards a more tech-oriented phone system. Video conferencing is a great option for businesses that frequently meet to have discussions with multiple partners, employees, or clients in remote locations. Video conferencing functions give business owners the freedom to conduct meetings without having to find a mutually agreeable location for a meeting. Video conferencing helps to connect and collect everyone in one place, regardless of location. The included features and tools are not the only things great about a VoIP solution. VoIP solutions are also flexible, mobile, and easily customizable. Plus, VoIP is available at a very reasonable price. No matter what your needs are, there is an affordable VoIP solution available to you. Does the provider only offer unlimited extensions, or do you select metered and unmetered extensions? Can you can select different extension types for various employees? Certain providers offer businesses options for hosted PBX and SIP trunking. Does the provider offer only hosted PBX solutions, or can you choose SIP trunking? SIP (Session Initiation Protocol) trunking is used for businesses. Mobile VoIP apps and features are available through certain providers. 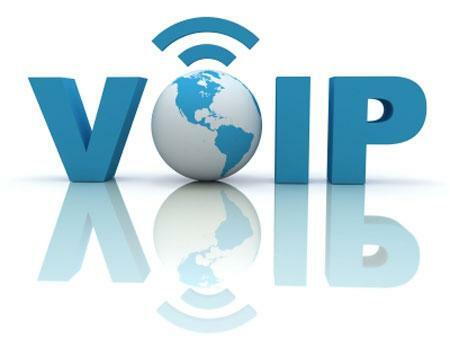 Some business VoIP providers have support and free features for working remotely and mobile connectivity. Check out all the benefits of mobile VoIP to see if mobile is important for your business. Residential providers offer both unlimited and metered plans at low monthly rates. Determine whether month-to-month or a yearly contract is best for your home phone service. Consider whether a provider offers low per minute costs as well as competitive international rates. Residential VoIP plans offer multiple features and tools to their users at no cost. Most residential VoIP providers offer free mobile apps for VoIP access on-the-go. Local and long distance calling is cost effective with VoIP. Plus, on-network calling is always free! One of the best aspects of any VoIP service are the free features included in your plan. Typically, many telephone service providers require you to pay extra for the same features that are included a with Voice over IP service. Have calls sent to additional phone numbers when you are going to be away from your desk. Forward calls to other numbers or extensions; you can also have calls forwarded to you as needed. Place calls on hold as needed, and even play music for callers as they wait. Enhanced 911 is the IP response to standard 911 service. It keeps you connected to emergency services at all times. (with name, date, phone number, time, etc.) Have your caller details and inbound caller information displayed on your IP phone.